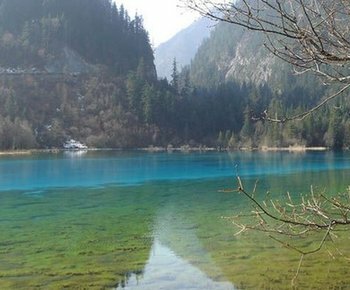 This 14-day cycling tour begins and ends in Chengdu, the capital of Sichuan Province. Riders will carry their own luggage in their bike panniers. This tour will visit both well-known and little-known sights and will appeal to those who have cultural, social and geographical interests. On the first day, the group will meet in Chengdu in the morning and take a leisurely tour of Chengdu visiting Wenshu Monastery, the River Viewing Pagoda and the Sichuan University Museum. On the second day we will transfer gear into panniers and store excess luggage at the hotel. We will take transport to the starting point 100 kilometers from Chengdu. This puts us on a road leading into the Wolong Panda Reserve. We will spend the night at Wolong and visit the Panda Research Center. For the next two days, the group will head up to Balangshan Pass through the Wolong Nature Reserve. The pass is at 4,550 meters (14,950 feet) above the tree line. On the way up, one night will be spent in a simple guesthouse at 2,730 meters (8,950 feet). This will allow a more gradual acclimation to the altitude. Yaks can be seen grazing on the slopes tended by Tibetan herdsman. At the top of the pass we will then coast down into a gorgeous valley to Rilongguan, at the base of Four Sisters Mountain. The following day we will cycle (mostly downhill) to Xiaojin Xian where there is a Buddhist Temple, an Islamic Mosque and a Catholic Church where Mao spend some time on the Long March. The next day we will cycle to Danba, located on the Dadu River, a major tributary to the Yangzi. Along the way we will visit a lamasery and a Tibetan Buddhist Temple. In Danba, there will be a rest day and the group will explore the area including some of the Tibetan Defensive towers the dot the hills around the town. On the eight day, the group will cycle to Bamei visiting hot springs along the way. The next day the group will cycle to Daofu and visit a local orphanage. Next is Luhuo, a small Tibetan town, followed by Ganzi. Ganzi is a great Tibetan town. A huge monastery, old Tibetan houses and glaciers on the mountains. The landscape side has become the Tibetan plateau with grasslands, cows, yaks and horses. On the 13th day the group with travel via bus returning to Danba. Time and weather permitting it may be possible to get off the bus at the top of the pass before Danba and then cycle down into Danba. The following day the group will have the option, time and weather permitting, take the bus from Danba to top of the pass after Rilongguan and then cycle down to Wolong where we will be transported by truck to Chengdu concluding the bike tour. 1. Bilingual bicycle tour guide. 2. All hotel accommodations (double occupancy). 3. Meals eaten as group (private meals, snacks and alcoholic beverages are not included). 4. All group transportation costs (buses, boats, and taxis) including to/from the airports. 5. All group entrance fees to attractions. 6. Transport of gear and cyclists when necessary. Riders carry their own luggage.